To gain knowledge and obtain a position in premier academic organization that allows me to apply my knowledge for the growth of organization, learning skills and expanding scope for and enhance my future growth. Working as Assistant Professor, Apeejay Stya University, Sohna, Haryana. 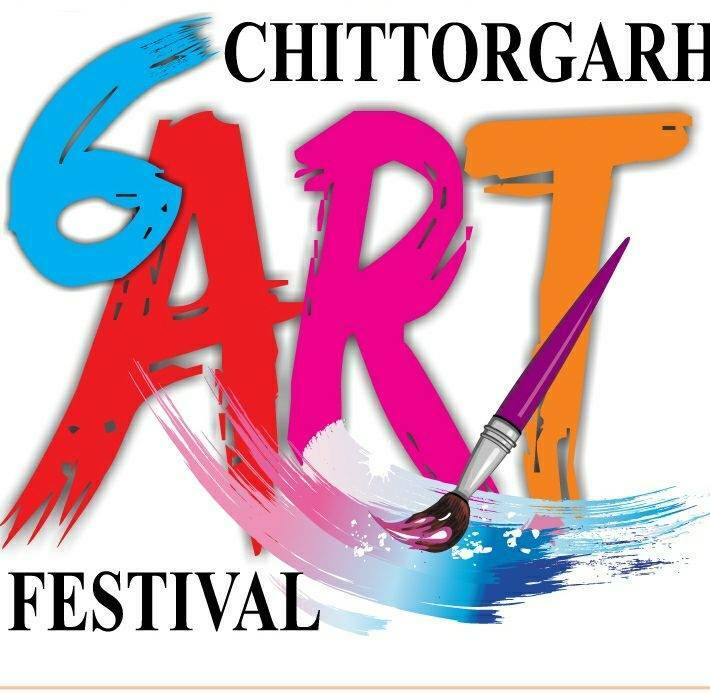 · Pursuing Ph.D. in Visual Arts, Faculty of Fine & Performing Arts from Mewar University, Chittorgarh, Rajasthan. · Chitra Visharad from Pracheen Kala Kendra Chandigarh in 2015. · Drawing Grade Examination from Government of Maharashtra in 2010. · Diploma in Animation from Pentasoft Bhubaneswar in 2006. · Diploma in Graphic Designing from Pentasoft Bhubaneswar in 2006. · Diploma in Multimedia from Institute of Entrepreneurship Development, Orissa in 2006. · Diploma in Interior Designing from Innovative School of Art Fashion & Textile Technology Bhubaneswar in 2005. · All India Junior Fellowship in Painting by Ministry of Culture, Government of India in 2011-12 (Title of Research “The Historical Values of Islamic Calligraphy in Modern Era-An Artistic Approach”. National Award in the form of Royal Gold Medal by Indian Royal Academy of Art and Culture, Kalburgi, Gulbarga, Karnataka in 2016. Miracle World Record for 100 hr nonstop painting workshop, Ongole in 2015. Kala Guru Samman by S.B.L College, Goberdhan, Mathura in 2015. Rukmani Devi National Awards from Kalarang Kalasang, Gwalior in 2008. Indian Royal Academy Merit National Award, Gulbarga, Karnataka in 2010.
International Award in world’s biggest fine art camp by Prarambh Foundation, Mumbai in 2007. Odisha State Lalit Kala Academy Award in 2011. Odisha State Youth Award (Chief Minister Award for Creative Painting) in 2006. · Gold Medal from Kala Bhumi in 2001. “A Critical Study of Satish Chandra’s Nature Panorama and its Relevancy” National Journals for Fine Arts, Agra, Vol. No. 5. 2016. “A study of Abhinav Gupta's life and his contribution to the “Rasa Theory” published in “Sasvat Kala-Sanskruti Soodh Patrika”, Vol. No.1. 2016. · “Satish Chandra’s A Magician of Light and Shades & Dignified Persona” published in an International Research Journal “Atishay Kalit a Referred International Bilingual Research Journal of Humanities, Social Science and Fine Arts, Lotus Vol. No. 4, 2015. · “Values of calligraphy in Islam & Its Characteristic Feature” International research Journals for Fine Art, Agra Vol. No. 2 2014. · “The effect of modernization in the field of Calligraphy” Atishay Kalit a Referred International Bilingual Research Journal of Humanities, Social Science and Fine Arts. “A Critical Study of the Word Kala in Reference to Indian Mythological Literature” “Sasvat Kala-Sanskruti Soodh Patrika”, Vol.2. 2016. · 1st FICCI Cultural Industries Summit, Smart Cities, Art Cities, Stein Auditorium, Habitat World at India Habitat Center, New Delhi, 19-20, December 2016. 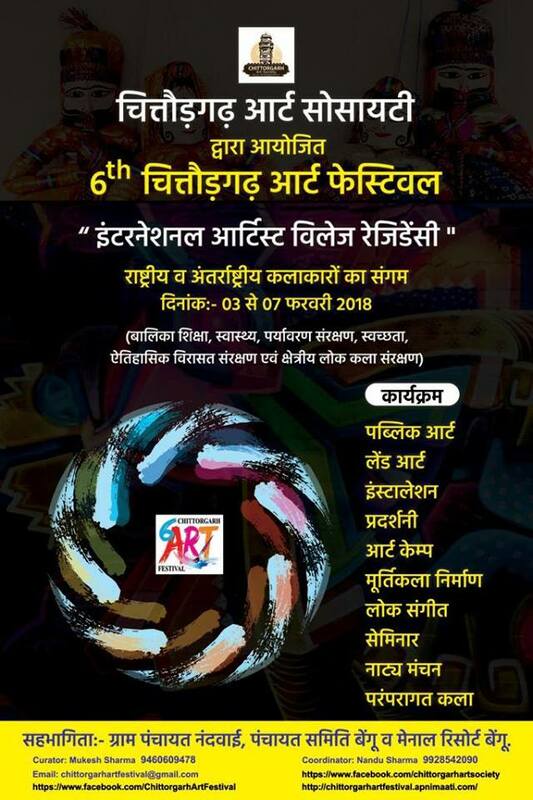 9th All India Fine Art and Craft Portrait Exhibition 2016. Open Air Exhibition, Ritz, Mall Road, Simla in 2015. Lalit Kala Academy Rabindra Bhawan, New Delhi in 2015. Government Museum, Jhansi in 2014. ICCR Azad Bhavan Art Gallery, New Delhi in 2012. Lalit Kala Academy Rabindra Bhawan, New Delhi in 2012. Karnataka Chitra Kala Parishat, Bangalore in 2011. Circular Gallery, Nehru Centre, Mumbai in 2010. Triveni Art Gallery, New Delhi in 2010. All India Fine Arts and Crafts Society, New Delhi in 2010. Government Museum, Jhansi in 2010. 11th Annual Indian Royal Academy National Art Exhibition at Art Gallery, Dept. of Kannada and Culture complex, Gulbarga in September 2016. All India Senior and Junior Artist Annual Exhibition by AIFACS July 2016. Jamia Allumuni Annual Exhibition, M.F Hussain Art Gallery, New Delhi, April 2016. 32nd State Lalit Kala Academy Annual Exhibition, Luckhnow, UP, February 2016. 124th Bombay Art Society Annual Exhibition, Jahangir Art Gallery, Mumbai, Feb 2016. M.F. Hussain National Exhibition, Chaitaniyamaye Art Gallery, December 2015. Art Insight - Artist Lab, C1 2801, Gurgaon, Delhi NCR, October 2015. 10th All Indian Royal Academy of Art and Culture, Gulbarga, Karnataka, 2015. Indian Royal Academy of Art and Culture, Gulbarga, Karnataka, February 2015. 15th All India Water Color Exhibition by AIFACS, New Delhi, December 2014. 8th All India Portrait Exhibition by AIFACS, New Delhi December 2014. Open Palm Court Gallery, India Habitat Centre, New Delhi, November 2014. Resurrection-2 Exhibition, Dear Park, Hauzkhash, New Delhi, November 2014. P.L. Deshpandey Art Gallery, Dadar, Mumbai,October 2014. Charitable Exhibition by Lalit Kala Academy, New Delhi, October 2014. Charitable exhibition for J & K Flood Victim at, Art Lab, Gurgaon, October 2014. All India Painting Exhibition AIFAC by N.D.M.C, New Delhi, September 2014. 86th Annual Exhibition, AIFACS, New Delhi, December 2013. Chitramayee State Art Gallery, Andhra Pradesh, February 2013. 85th Annual Exhibition, All India Fine Art & Craft Society, New Delhi 2012. 7th Annual Indian Royal Academy Exhibition, Gulbarga, Karnataka 2012. 100 year calibration of Delhi by AIFACS, New Delhi 2012. 30th State Lalit Kala Academy Annual exhibition, Lucknow in 2012. 84th Annual Exhibition, All India Fine Art & Craft Society, New Delhi 2011. Regional Art Exhibition RajyaLalit Kala Academy Lucknow 2011. 34th State Lalit Kala Academy Annual exhibition, Orissa 2011. 77th All India Exhibition of Arts by IAFACS, Amritsar in 2011. 82nd All India Fine Art & Craft Society Annual Exhibition, New Delhi 2010. Senior, junior & Sculpture Camp’s Exhibition by AIFACS, New Delhi, June 2010. 29th State Lalit Kala Academy Annual Exhibition, Luck now 2010. 76th All India Exhibition of Art by IAFACS, Amritsar 2010. 6th Annual Indian Royal Academy Exhition, Gulbarga, Karnataka 2010. 33rd State Lalit Kala Academy Annual Exhibition, Orissa 2010. 32nd State Lalit Kala Academy Annual exhibition, Orissa 2009. 31st State Lalit Kala Academy Annual exhibition, Orissa 2008. 30th State level exhibition by JajpurChitrakala Academy, Orissa 2008. 29th State Lalit Kala Academy Annual exhibition, Orissa 2007. National art fair, Hotel Sayaji Lawn, Indore 2005. 28th State Lalit Kala Academy Annual exhibition, Orissa 2006. All India Junior Artist Camp by All India Fine Art and Craft Society in 2016. All India Junior Artist Camp by All India Fine Art and Craft Society in 2011. Attending National Art Camp, Khajuraho in 2010. Attending National Art Camp, Dhanbad 2010. Sprit of India, International Art Camp, Orissa, 2008. National Art Camp, Gwalior in 2008. National Integration Camp, Kerela in 2007. World Biggest Fine Art Camp, Mumbai in 2007.
International Art Camp, Dhanbad in 2006. National Art Camp, Gwalilor in 2006 .
International Art Camp, Ujjain in 2005. Gandhi Jayanti Public Art, “Rangoli on Road” 2nd October 2015.
International Womens Day, Street Art“MujheUdne Doo” 8th March 2015. Gandhi Jayanti, Street Art “Bapu Tumhe Naman” 2nd October 2014. World Aids Day, Street Art “Red Step” 1st December 2010. Eid Cellibration, Street Art “Eid Mubarak” August 2009. Raja Festival, Street Art “Vote for Taj” 16th June 2008. Utkal Divas, Street Art “Proud of Odisha”1st April 2007. Worked as an Academic Consultant in National Council for Promotion of Urdu Language Ministry of HRD government of India from 1st June 2011 to 31st May 2013. Trained Graduate Teacher in Children Academy Ghaziabad Delhi NCR June 2013 to February 2014. Trained Graduate Teacher in Delhi Public School Ballabgarh Delhi NCR Feb 2014 to July 2014. Assistant Professor in School of Design and Visual Arts, Apeejay Stya University Delhi NCR August 2014 till date. Strength : Artistic Skills, Sense of Hard work, Sincerity & Commitment. Dr. D.N. Road, Fort, Mumbai- 400001. I hereby declare that all the information provided by me in this application is factual and correct to the best of my knowledge and belief.